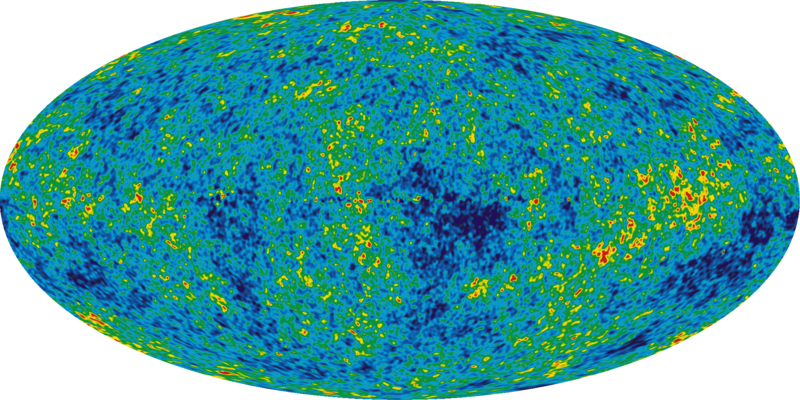 Figures from the Nine-Year WMAP papers in a form suitable for use in talks. Figures from the paper "Nine-Year Wilkinson Microwave Anisotropy Probe (WMAP) Observations: Final Maps and Results" in a form suitable for use in talks. Please acknowledge the WMAP Science Team when using these images. 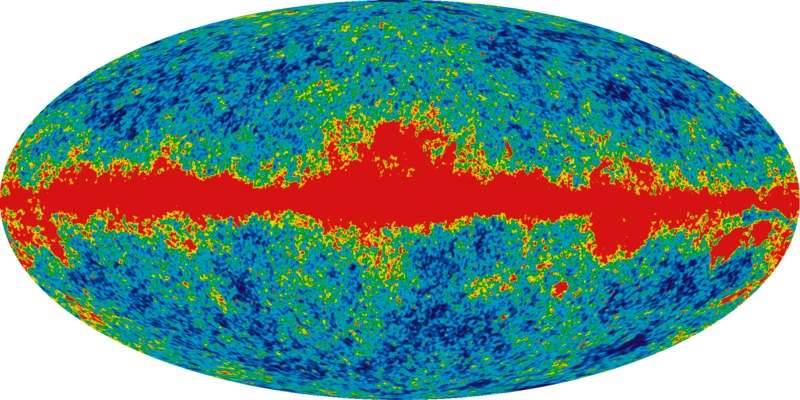 Figures from the paper "Nine-Year Wilkinson Microwave Anisotropy Probe (WMAP) Observations: Cosmology Results" in a form suitable for use in talks. 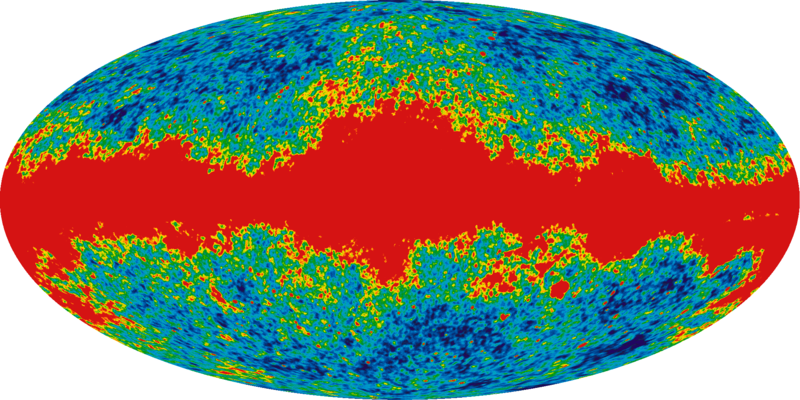 Please acknowledge the WMAP Science Team when using these images. 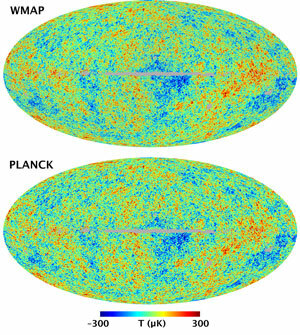 The top image is the WMAP 9 year W-band CMB map and the bottom image is the Planck SMICA CMB map. 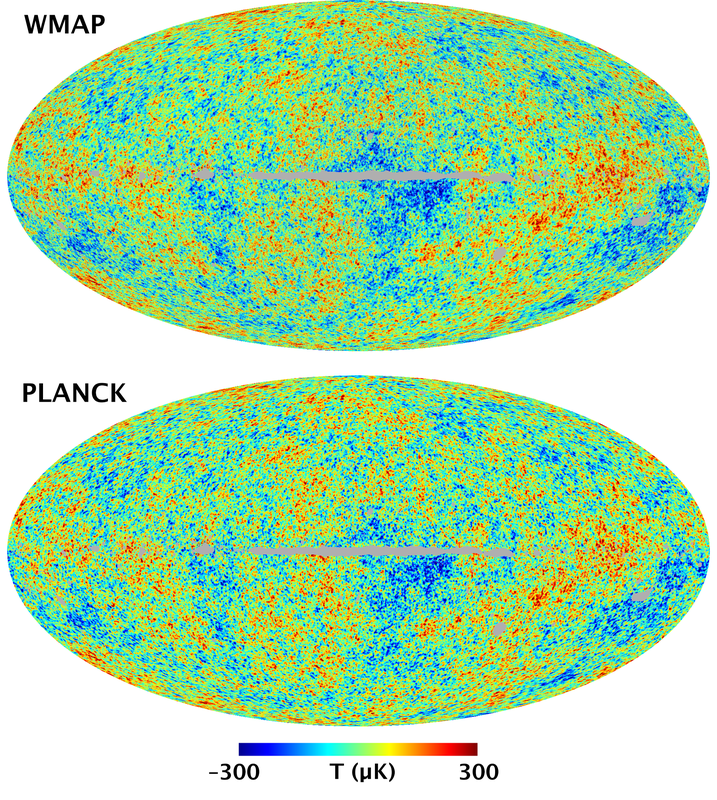 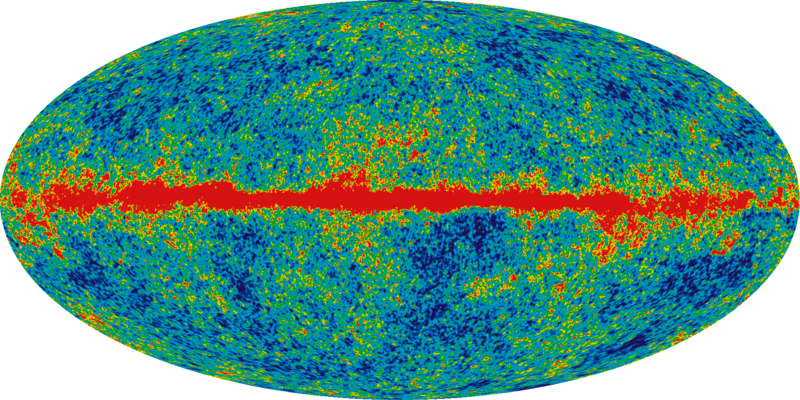 Both maps are foreground-cleaned, WMAP by subtracting a linear least squares fit to the Planck dust and low-frequency templates.